Less than a month after losing the Universal Championship, Brock Lesnar is backstage at Hell in a Cell in San Antonio, Texas tonight. Lesnar being at the show was first reported by PWInsider and has been confirmed by our Dave Meltzer. 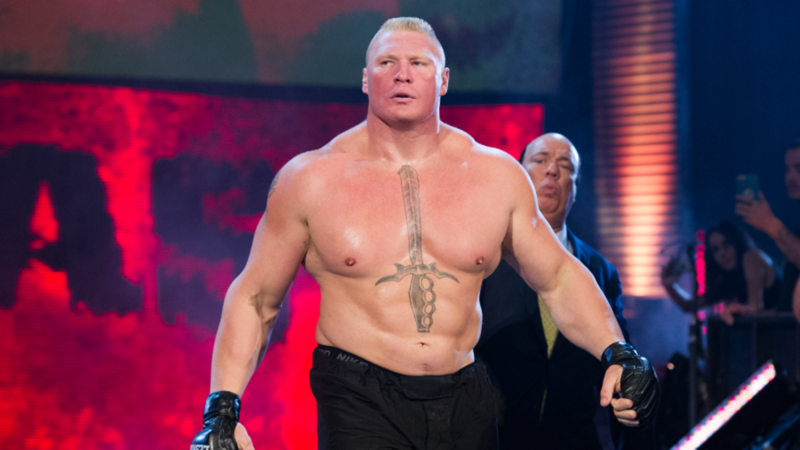 PWInsider noted that Lesnar had been "walking around in full view of everyone backstage" and wasn't being hidden from people, but whether or not he'll play an on-screen role at the pay-per-view remains to be seen. Lesnar hasn't appeared on WWE television since losing the Universal title to Roman Reigns at SummerSlam. On the Raw after SummerSlam, there was a backstage segment with Kurt Angle and Paul Heyman where Lesnar was written off TV. Heyman said Lesnar wanted to invoke his rematch clause. Angle replied that it would be a long time before that happens, Heyman wanted Lesnar to get a title shot at Hell in a Cell, and Angle told him to forget about it. Meltzer reported in the August 23 edition of the Wrestling Observer Newsletter that Lesnar's WWE contract was set to expire in a few days from then. Lesnar appeared at UFC 226 in July and set up a potential future heavyweight title fight with Daniel Cormier, but Lesnar isn't eligible to return to the UFC Octagon until January. Meltzer reported earlier this month that Lesnar hadn't signed anything to face Cormier but was training with that fight in mind.